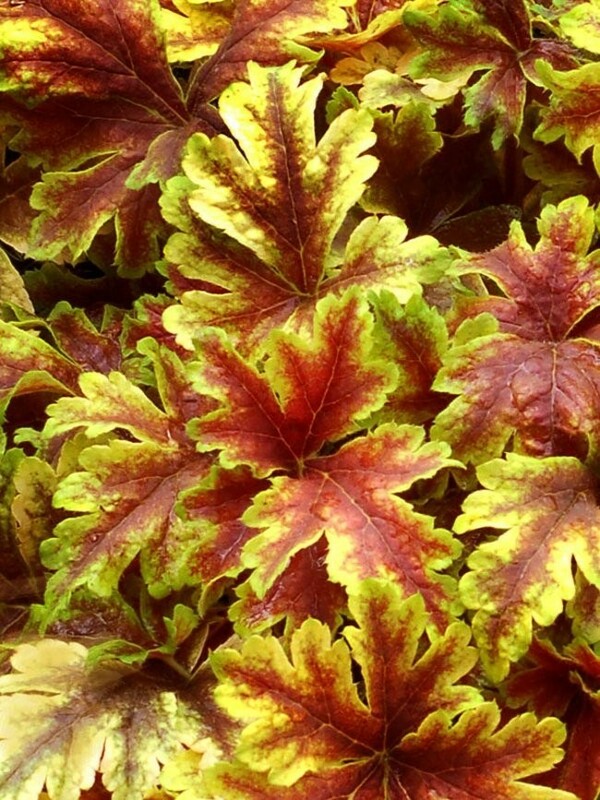 Heuchera Golden Zebra is a fantastic evergreen with a really striking combination of feathery bright golden foliage with rich ruby red central markings. 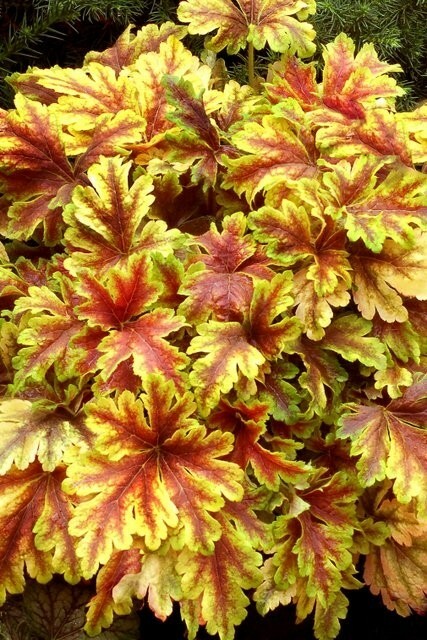 The attractive lush foliage makes this Heuchera an this perfect contender as a container plant or it also makes excellent ground cover plant in the garden. 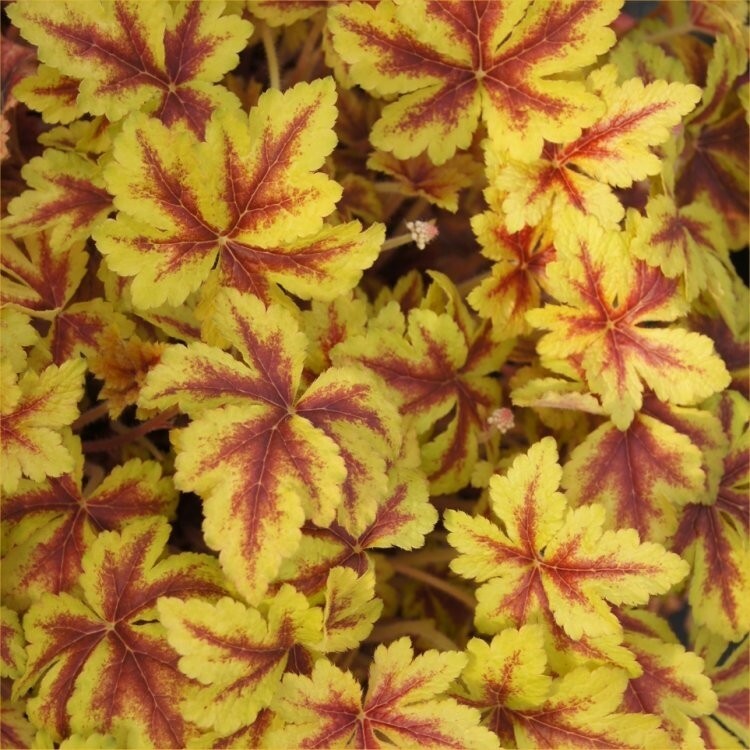 Golden Zebra also produces spires of creamy white flowers continually in Summer. Supplied in approx 1 litre containers.